NEW USERS: START HERE before you try and post. The latest forum news can be found here, along with tips for new users and support for our book, the Louisiana Legal Advisor. This is where you can ask questions and comment on the LA-Legal site and the Forums. This is the area for questions and discussions about Louisiana wills, estate planning, probate and successions. Family Law in Louisiana includes questions and comments about divorce, custody, support, alimony, emancipation, and, in general, anything to do with Louisiana parenting and the family. Issues involving property settlements as part of a divorce also go here. 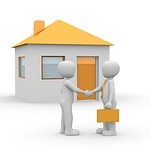 This forum is for questions and discussions relating to real estate, title issues, and property disputes. Landlord-tenant disputes, evictions, and lease problems are also subjects for discussion here. If your question or comment isn't about Louisiana family, real estate, or probate law, then this is the place to post. Anything else having to do with the law in Louisiana is fair game here.